November is now coming to an end, for this months Styling the seasons I’ve been thinking a lot about candle light and crafts. As part of my Styling the seasons blog challenge (hosted by Katy and Charlotte), I couldn’t resist organising and styling my yarn and wool, displaying them in my lovely glass display dome. Completely unnecessary but so pleasing to look at! By styling my yarn in this way it has taken the ‘old lady’ stigma of crocheting and knitting away and looks very inviting. What do you think? Crocheting danish grydelappers (pot holders) is one of my favourite things to make this time of year and great as a Christmas gift. I make either knitted or crocheted grydelappers take a look at my blog posts for more inspiration. I love to decorate with candles and at this time of year I find it hard not to have them everywhere. My favourite candle stick holder from Design House Stockholm takes pride of place in my living room, with a few scattered t-lights it’s a perfectly paired-back style. 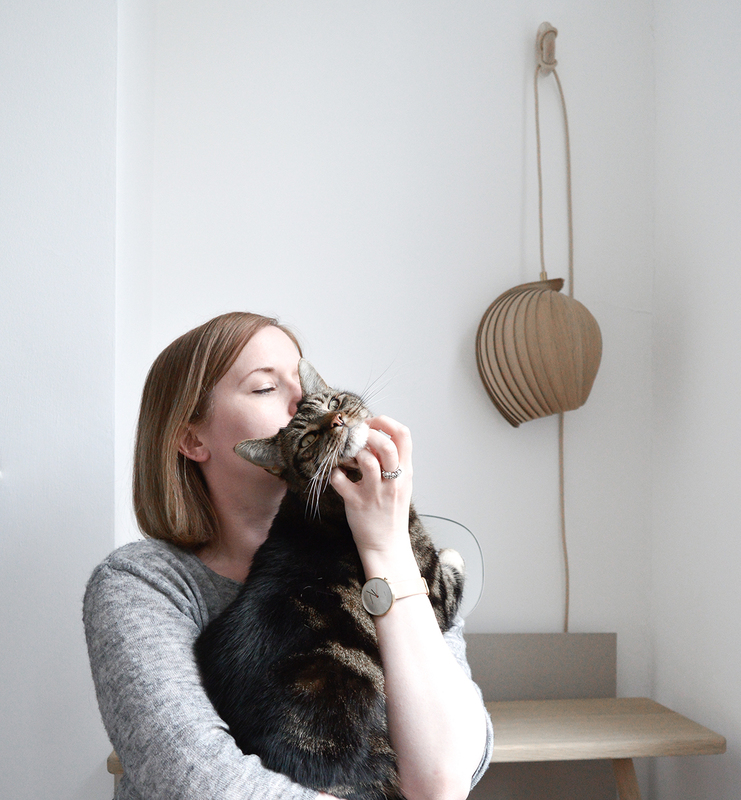 As my style tends to be Scandinavian inspired, it’s important to bring in a balance of nature with crafts and design. I collected branches found in my local park, two is enough to create a statement, softening the design without being flowery. I love the combination of the natural branches and birch wood cabinet, industrial tin tiles, vintage danish ceramics , candle holder and stark white walls. I look forward to planning my December styling post, I wonder what theme that will be? ?……..